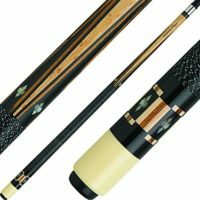 What is a good weight for a Pool Cue? Pool Cues have different weights and similar to determining the lengths, weights too have been decided on and made after many trials coupled especially with professional inputs. Selecting what best weight could be for us, would mainly depend on our personal preferences but a heavier Pool Cue would release more force on the ball, and it would need to be addressed when we play a shot at the ball. 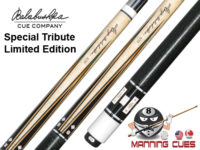 Controlling the perfect angle and the appropriate power behind our shot at the ball is the main criteria to get it into the pocket, and that has to be mastered by experience while also selecting the best Pool Cue weight comfortable for us. Pool Cue manufacturers have standardized the weights of them between 17 ounces and 21 ounces (480 -600 grams), and here again, it would depend on our personal preferences because each of us could have a different style of playing. The weight of a Pool Cue is relevant in the context of the amount of lateral force that would be needed or could be needed to slot the ball into the pocket. A lighter Pool Cue would need a fraction of force more than a heavier cue, and practice would best learn it and experienced gained by us when we are out there playing Pool at the best of our excellent ability. Playing Pool precipitates ultimately to how we shoot the ball and the angles and the lateral force we use from our arms to the ball through the Pool Cue and that critical factor is what makes a good player and differentiates the bad ones. Precise angles coupled with accurate force is what the game of Pool is all about, and it is one of the most popular indoor table games in the United States of America and has now spread across the world too, hence the right Pool Cue in the right hands is what matters.